Damn looking at that Title I thought Allie X had dominated your chart! Apparantly her album is out but I can't find it! The no.1 sounds ok though. Awesome for Michelle Branch in the Albums. Whats your fav of hers? The new Allie X album is out ? I can't find it either. What do you mean "ok"? It sounds amazing ;). Thanks for checking it out though! Canadian country-pop singer Alee stays #1 with the title track from her new album. 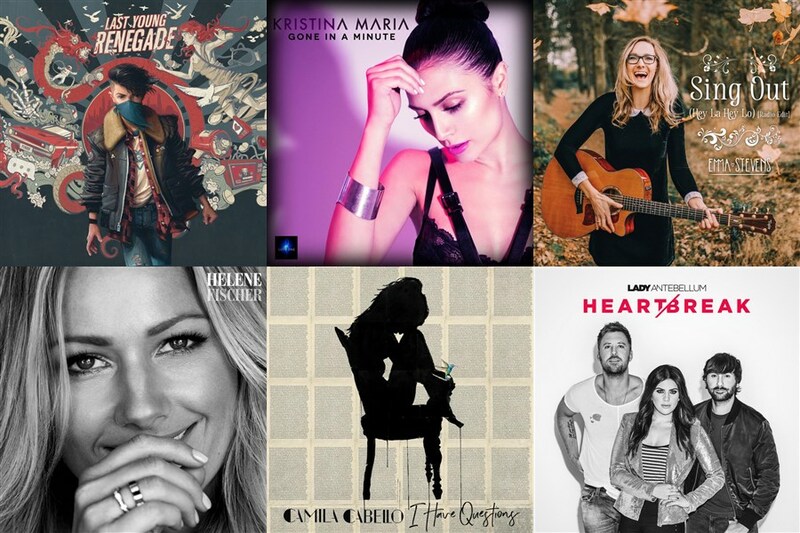 There are 16 new entries this week, but all of them are from just these three albums! Alee keeps the top position here too, but the new albums by Lea Michele and New Found Glory enter at #2 and #3. This is the first week where the entire top 3 (and in fact now top 4) consists of albums released in 2017. That Reasons song is great! I've been playing it quite a bit. Glad to see that Run To You is the highest new entry fro Lea. It's the one I liked from the 3 promo singles. It almost made my no.1. I might check out soe of her other songs but in general she isn't y kinda thing. Poor Burn The Bed out of the top 10 Chelsea Lankes still smashing though! I may check out the New Found Glory one this week. Your #1 isn't bad. I need to check out Lea Michele's new album. Thanks for commenting, MrRager and JSparksFan! I think you would like the album if you like that song, and especially "Believer"! It was very close on my chart last week outside of the top 10 and part of the reason "Run to You" was the highest new entry was because it already had some plays from the week(s) before (the same effect was behind the new peaks for "Love Is Alive" and "Happy Being Miserable". But I definitely like it more now than when I first heard it. Candi will be back in the top 10 this week and actually get its best position since early February! Great, I hope you you like it (the New Found Glory album)! I think it sounds a bit like it could be an Avril Lavigne album, if she was singing those songs instead (and then obviously it would be even better). Thanks for listening to "Bad Habit"! Great, can't wait for her to replace GaGa, Beyonce and Madonna on your chart! 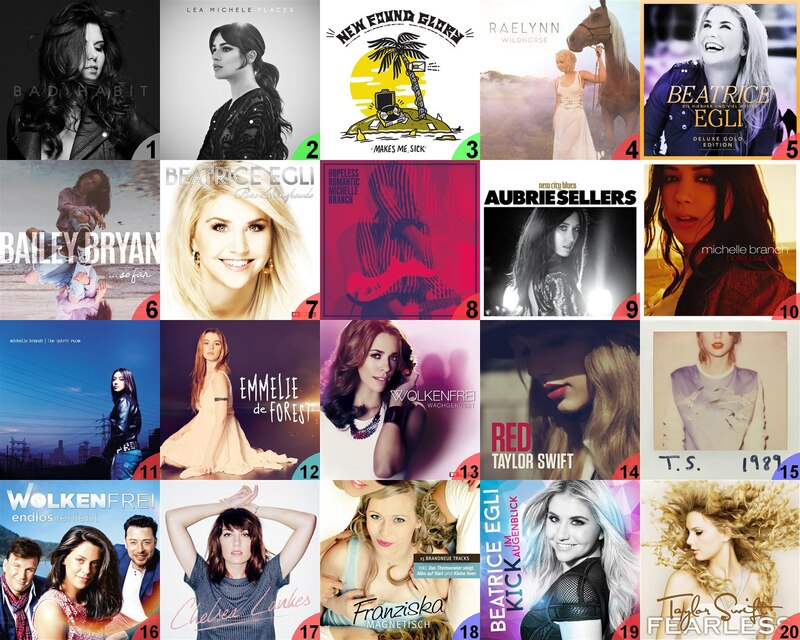 Canadian country-pop singer Alee stays #1 for a 3rd week with the title track from her new album. Album covers for this week's new entries (see below for an explanation of the "???" thing). 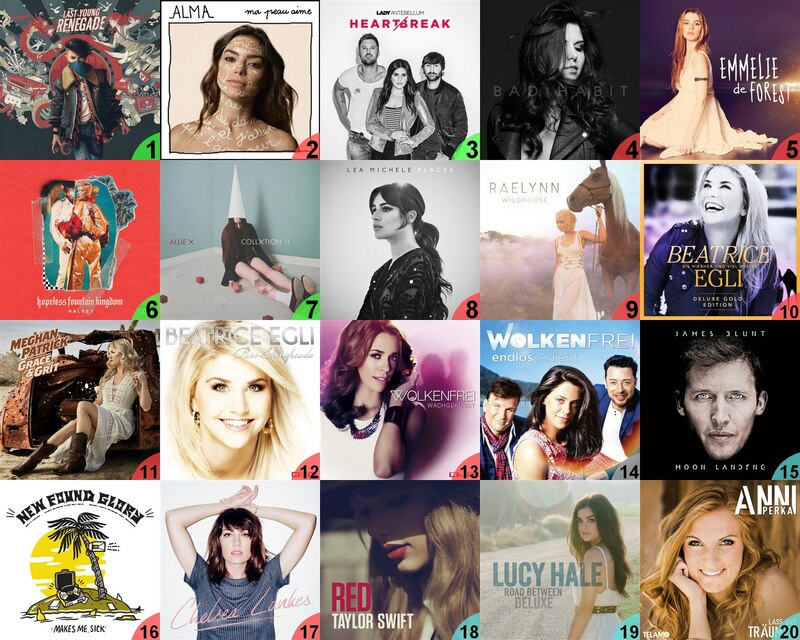 The past week is the 11th consecutive week with volume (= total number of plays of eligible songs) below 1,000; that hasn't happened since 2013. Part of the reason is that I've listened more to older music but I've also cut down some on my total listening time. While 2017 so far is a weak year overall, there are still some new songs I'm really crazy about, including the current #1 that stays there for a 3rd week. 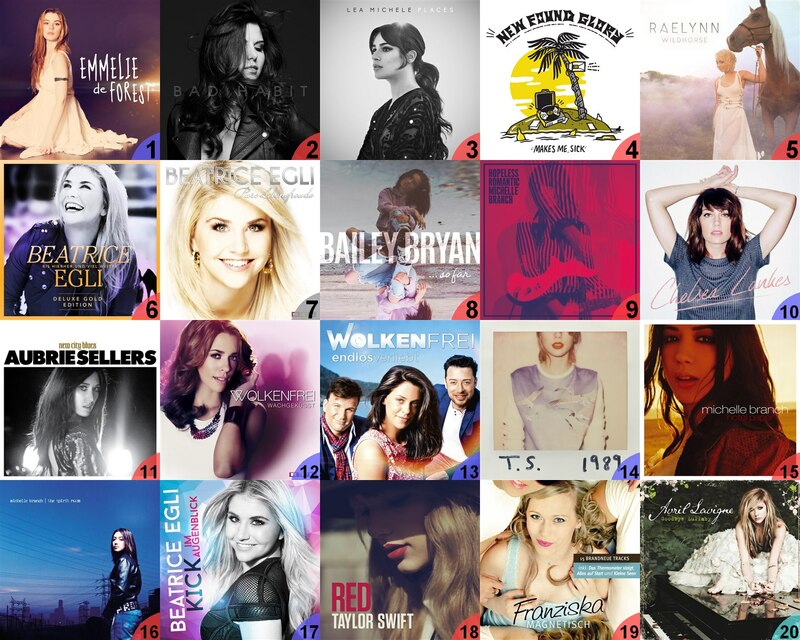 It's a great week for Alee as she also enters just outside of the top 10 with two other songs from the album and re-enters at #10 with "Turn This Night On". The two albums that dominated last week somehow almost got forgotten this week, with the big exception of the song "Believer" by Lea Michele which climbs from #15 to #3 and actually felt like a very possible #1 throughout most of the week. The new entry at #23 is a song from this year's Eurovision Song Contest, but at the time of this writing I don't know which song it is! I.e., I don't know the name of the artist or the country it is representing, or the actual title of the song. This is not some silly attempt to appear mysterious but is because of something I've been doing every year since 2005. 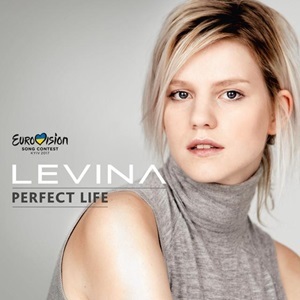 Once the official ESC album has been released I listen to all of the songs in random order with all information removed (i.e. each song only gets an identification number). 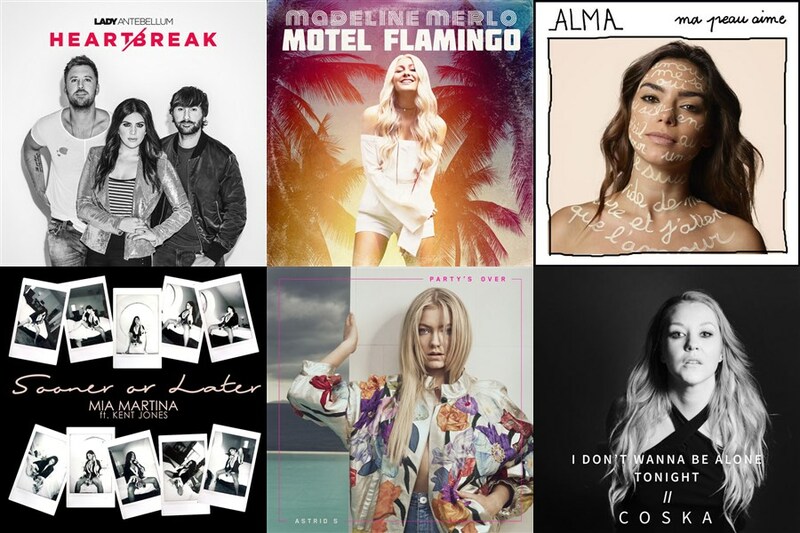 Usually I already know a few of the songs from before (although I try to make an effort to know as few as possible); that is the case this year with for example the songs from Sweden, Iceland and Denmark (the later of which already charted one week in March). For the rest I usually listen to them (those that I like) for a while before I "disclose" them. Sometimes this happened the same week so it never affected the look of my chart that week but other times I had half of the chart filled with "undisclosed" songs at the time it was presented. And this year I decided to stick to my old scheme, despite posting my chart here, and because it is so close now I wanted to wait for the semi-finals before everything will be revealed. Nice to see Lana back! Did you not like her song with The Weeknd? That Svala song in the Bubbling Under sounds nice! Burn The Bed Back in the Top 10!! GOODBYE LULLABY!!!!!!!!!! mY fAVOURITE ALBUM OF THE DECADE! 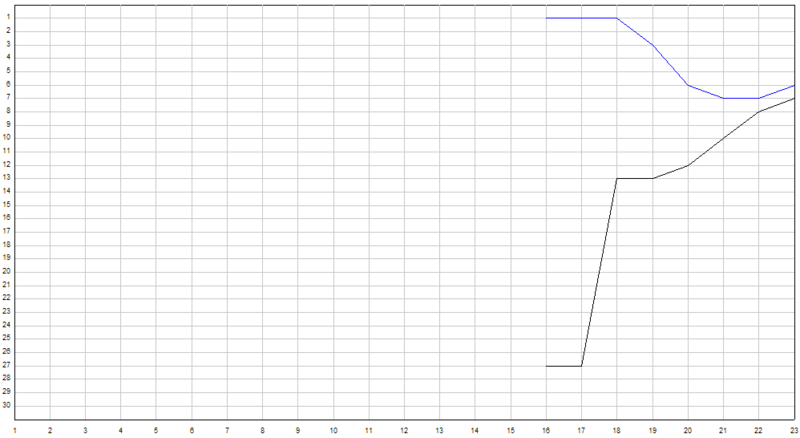 You sound like our "Real Chart" guy Graham76Man talking about charting things that you have no idea what they are! Thanks for commenting, MrRager & Blondini! My favourite album of the decade at #1 and yours at #20... I'm afraid it will drop out again this week but will most likely return again from time to time. Not a bad guess, but no, it's another song that made the top 30 (see below). Album cover for the album that contains this week's amazing new #1 (and the #26). Remember the "rule" that when Emmelie returns to #1 I usually discover a great new album the week after... Alma's album does not manage to enter directly at #1 due to too little available listening time, and the superiority of "Après l'aurore" leading to a rather low breadth factor, but I did notice there are more good songs on the album and it is highly likely to climb to #1 next week. Album cover for the album that contains the amazing ";Après l'aurore";. As predicted a week ago, Alma's album climbs to #1 this week, causing Emmelie de Forest's album to step down from #1 for the 8th (and probably not the last) time. The breadth factor for Alma's album actually decreased though, showing that even though all of the songs got some plays this week, ";Après l'aurore"; remains extremely far ahead of the rest. Hey Sorry I didn't comment on your last chart but loved seeing the old Michelle Branch albums charting. The songs i've listed are all great and seem to be very stable in your chart which is nice. There are a few songs I need to check out from this week. Coska, Astrid S and possibly that Lady A one! Hopefully I like them. No problem. Thanks for commenting this week! I'm glad you found some interesting new songs and that you love Coska's new song! It was actually released in early April but I didn't find it until last week. Unfortunately it will drop out again this week but maybe it will return again later. 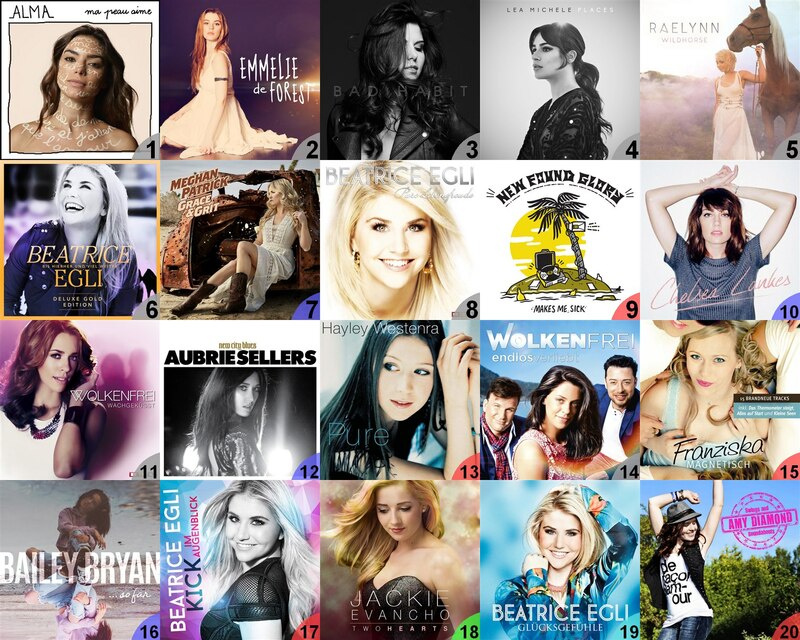 Single and album covers for this week's new entries (the third one also contains the #1). 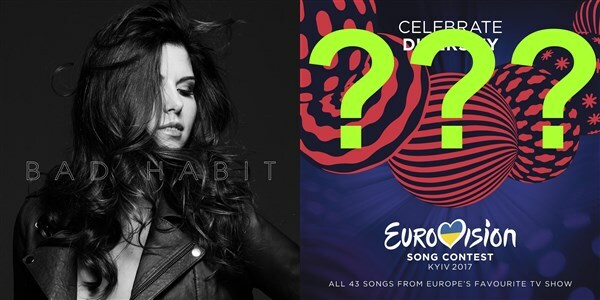 Volume dropped again and it's not the most eventful week but there are three new entries: Carly Rae Jepsen's new single ";Cut to the Feeling";, Estonian ESC UKMix forum favourite ";Verona"; by Koit Toome & Laura (which now overtakes ";Perfect Life"; as the most successful 2017 ESC song on my chart) and yet another song from Alma's album. Not much going on in the top 8 here, but three albums from three different decades return to the top 20. As I have mentioned before, Pure is the album with the most number of weeks overall on my chart and looks likely to become the first album to reach 500 weeks. The other two I haven't listened to in full for ages but each contains one of my favourite songs from the respective decade: ";So Much More"; on Maggie's album and ";Inside a Dream"; on Jane's, and those songs suddenly got a lot of plays this week after being nearly forgotten for a while. Midnight Sun last charted in December 2012 and Fur in January the same year. I'm hooked on that Jillian Jacqueline song. Not usually my type of song but its addictive. Nice to see it back in the Top 10! Poor The Apple falling out of the Top 10. Yeah, "Cut to the Feeling" is really good, although it sounds very similar to many of her other songs from 2015-2016. It slipped below #30 (I warned you about it in the comment reply above), but should have a decent chance of returning. Single covers for this week's new entries. Nice to see Poppy entering! Have you ever checked out her Youtube channel? It's weird as F! 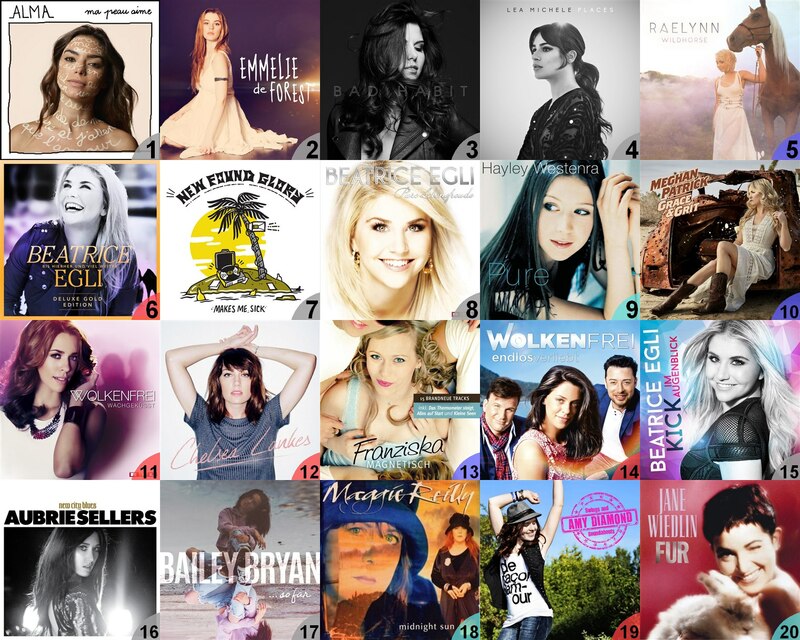 Carly into the Top 10! I checked out the Allie X song and it's good. I think her album leaked/was out ina few countried a while ago but it's still not on my Spotify but i'm sure it's sometime in June? It's been such a long wait. I'm surprised to see Camilla in your bubblers. Never thought you'd like her. I didn't like Crying In The Club but that was only 1 listen. It ust reminded me of that annoying Ed Sheeran song. I quite like I Have Questions though. I listened to it now and there are some songs I like but unfortunately nothing that sounds amazing so far :(. Yeah, I'm not sure why I like those songs as I do find her a bit annoying. 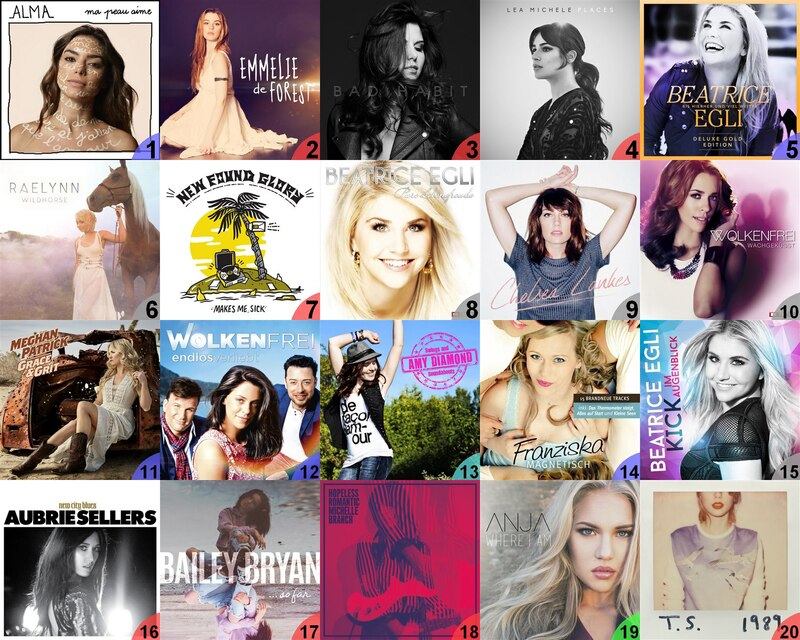 Don't worry, it's highly unlikely any of them will smash on my chart although one managed to enter the top 30 this week. Album and single covers for this week's new entries. The top 2 is unchanged for the fifth week (and Maia's song has now been stuck at #2 for eight consecutive weeks and in the top 2 for 16 consecutive weeks) but there is a new entry at #3, a ";duet"; between pop punk band All Time Low and twin sister duo Tegan and Sara. That is the song on All Time Low's new album that made the strongest impression on me, although several of the other tracks also enter the chart this week. This week's albums chart is anything but sleepy, with four new entries in the top 10! American pop-punk/rock band All Time Low gets their biggest success to date when they enter at #1 with their new album Last Young Renegade. Their last one, Future Hearts, peaked at #3 in 2015. It's also the first #1 by a male artist since Jason Aldean in September–October last year (although they both ";cheat"; a little by having female artists featuring on one track each). Country trio Lady Antebellum enter at #3 with their new album. Halsey and Allie X also get top 10 hits with their new albums although I wasn't too impressed by those albums, especially not Halsey's which somehow still manages to get the higher position (probably due to having more tracks). The competition drops off dramatically outside the top 10 which makes it possible for a few older albums to re-enter for no specific reason. 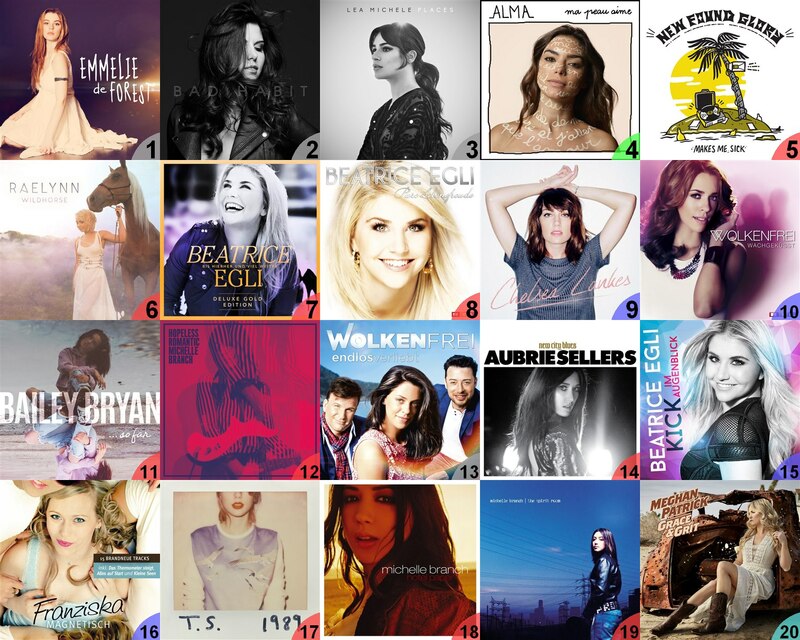 And New City Blues by Aubrie Sellers leaves the chart after 63 consecutive weeks (all but five in the top 12) and Magnetisch by Franziska after 25 consecutive weeks. Lovin that All Time Low & Tegan and Sara song!! I might check out All Time Low's album this week. YES for Reasons. Slowly making it's way to number one! Yes! I hoped you would like it! Looking forward to seeing it make the top 3 on your chart. Although it's also a bit like running 100 meters in 20 seconds the first day, in 19 seconds the second and in 18 seconds the third day and then thinking: "If I just keep doing this for nine more days I will beat the world record!" Looks like time has run out for "Drive Away" (figuratively speaking of course; it is still eligible for 41 more weeks). "Computer Boy" managed to overtake no less than ten songs from last week, so it did better than it looks from that single position climb . hahah! I noticed about your reply being really quick or real late!